(Natural News) We can all do our part in helping regenerate the Earth. This can be as small as learning how to garden. Organic backyard farming, or simply gardening, is one of the best ways to start helping our communities and our environment. Commercial agriculture creates only a few jobs, since most commercial farms make use of machinery. In small, developing countries, farmers are paid less than the minimum wage in compensation for their hard work. Being a commercial farmer isn’t all that great, since companies that own the farms take 95 percent of the earnings for themselves. It also isn’t beneficial to the land itself, since chemicals, synthetics, and other artificial materials are used to eliminate pests and weeds. If chemical pesticides and weed-killing substances are poisonous to humans, then it would be lethal to the soil and to nature as well. Organic gardening is the best activity to start if you’re concerned about your health, the environment, and want to find more ways to control your finances (and earn a bit more on the side). It isn’t rocket science, and some schools even incorporate community gardening into kindergarten curricula! If you still aren’t convinced, here are a few reasons why you should start your own organic produce garden. Fresh and tasty – When you plant your own tomatoes, you get to pluck them when they’re red and ripe. Tomatoes are more flavorful when they ripen on the vine. Commercial farms harvest these fruits way too early. Commercial tomatoes are usually green upon harvest, since they have to be traveled long distances. Organic gardening allows you to harvest your produce at the “ripe” time, and your taste buds will thank you for it. Nature’s steward – As mentioned, commercial farming destroys the land with unnatural methods and chemical abuse. Organic farming, on the other hand, minimizes the use of artificial farming methods, or avoids it altogether. It also promotes soil health and a healthier environment. By having your own organic farm, you influence others to do the same. Small ripples turn into giant waves – start now and maybe we’ll get to save our dying Earth. 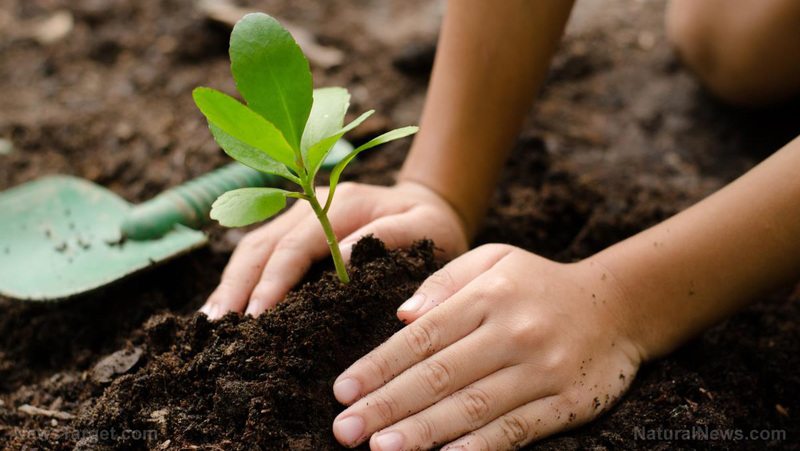 Awareness and self-sufficiency – One of the best advantages of backyard gardening is that it keeps you on your toes when it comes to finances and community awareness. By gardening your own fruits and vegetables, it’s more likely that you would eat your own produce. Eventually, you won’t need to buy anything from the market anymore, except meat and other cooking ingredients when you need it. When you have too much to consume, you can either sell your produce or donate them to the needy. Aside from saving your bank account, you help your neighbors as well by providing them a healthier and definitely cheaper food option. A healthier lifestyle, of course – This is very straightforward. Organic gardening helps you make healthier eating decisions and habits, and promotes better mental health. In the morning when you tend your garden, you expose yourself to the benefits of the wonderful sun which helps your body produce much-needed vitamins like vitamin D. Furthermore, the effort it takes to weed and water the plants completes your daily exercise requirement. Most Americans nowadays lead a very sedentary lifestyle, sitting in front of the T.V. or computer for more than eight hours a day. Gardening, if taken seriously, can significantly improve the U.S.’ rate of non-communicable diseases like cardiovascular disorders and diabetes. Discipline can be learned – Aside from being able to control your finances, you get to learn patience, discipline, and delayed gratification. Most people these days believe that they should be rewarded for just being great, but that is not what reality is. Gardening pays off pretty well, but not for impatient people. One who practices a disciplined lifestyle can go to great lengths and achieve whatever they desire in life. Patience and delayed gratification help a person prosper by teaching patience. Unlike dogs and other domesticated animals, we do not need instant rewards in order for us to learn something. Organic backyard farming can help you learn these important skills that you’ll surely be able to use in other areas of your life.